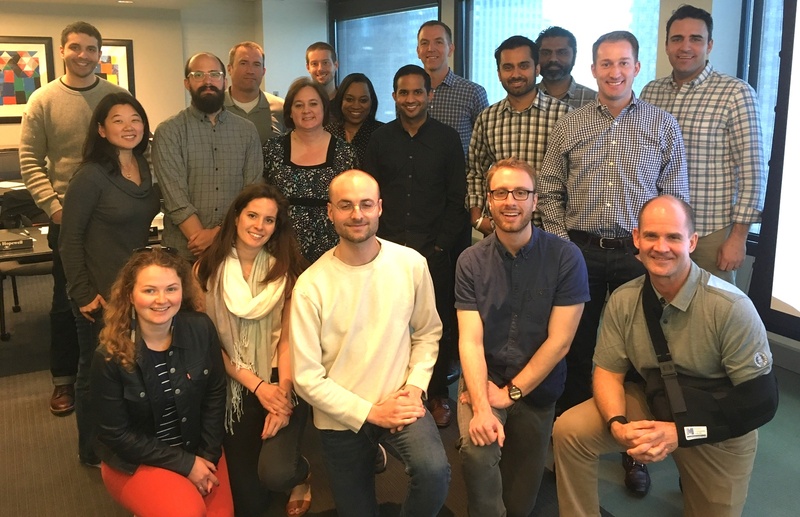 Rich Lyons, co-founder and CEO of LyonsCG, a global commerce services provider with 350 employees worldwide, recently taught Leadership & Self-Management, one of the emotional intelligence training classes that are a part of Junto's leadership development program for growth-stage companies in Chicago. Rich is a longtime JuntoMentor, and has been studying and practicing emotional intelligence for over 15 years, during the time he and his partners have built LyonsCG. Self-management is how we exercise control over the emotions that lead to what we say and do. It results in our ability to be resilient, manage stressful situations, build and maintain a positive outlook, and have an achievement orientation. 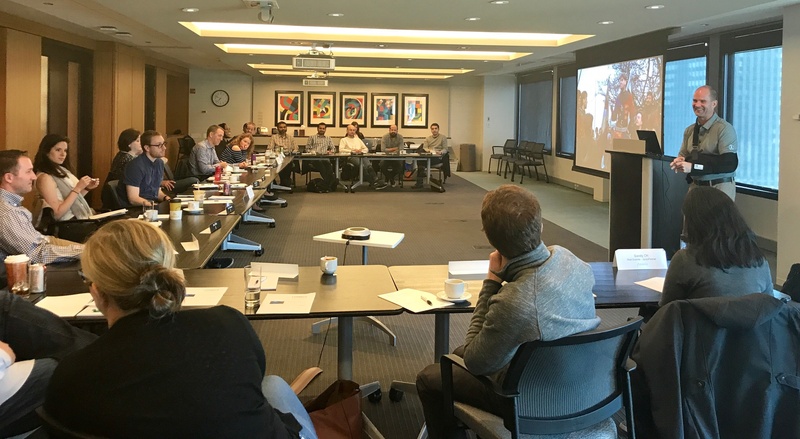 At Junto, we believe leadership is defined as moving people in the direction one wants to go, and self-management may be the most significant contributor to being an effective leader. My key takeaway from Rich's class was that self-management is a choice. He emphasized over and over again that we, as leaders and as humans, have the ability to actually choose how we respond in virtually all situations that we face. It was less the concept that Rich was sharing and more the word that he used to convey it: choice. I went back through the notes our team took during the class, and highlighted a number of Rich's quotes using the word "choice" that meant the most to me. "If you’re not aware of what’s going on with yourself, you don’t have a choice." I can't exercise self-management unless I am self-aware. For me to be able to make a choice of how to behave or what to say, first I must first have the capacity to know what I'm feeling in a moment. Then I must understand why I'm feeling that. Finally, I must be able to describe it (fortunately, all of this can be made easier by an emotion wheel). As an example, I recently had to have a tough conversation with my business partner, Catherine Jelinek, about an important matter. In the moment, I was aware of the fact that I was feeling sad and angry, not about or towards her, but about the situation we had to address. That self-awareness enabled me to consciously choose how I was going to handle the conversation...how I was going to exercise self-management in addressing the issue with her. That led me to starting the conversation with my main point, using a rational thought process to explain the point, and not allowing my emotion to affect my words and tone of voice. It was indeed a tough conversation but it was made easier knowing that I had a choice of what I would say and how, based on how I was feeling in the moment. "Can you be aware of your fear and then make a choice to trust?" When we are afraid, we have a tendency to shut down and not be in a position to trust other people or the situation we're in. It's a natural human response that is driven by our "emotional" brain (limbic system) which controls our "fight or flight" impulse. Rich's question led me to realize that if I am actually aware of any fear that I'm feeling, rather than caving into the emotion, I can use my "rational" brain (neocortex) to exercise control over my reaction and resume the ability to have trust. An example is when, like most entrepreneurs, I feel an impending sense of doom just because one or two negative things might have happened in a single day. If I can raise my awareness of that fear by remembering Rich's question, I can be more capable of returning to a position of trust that the sky isn't falling and that everything will actually be OK. And in my role as a leader, that renewed sense of trust can help with what and how I communicate to those around me, giving them greater trust as well. "I made the choice to react and assert myself." Rich told a story of visiting the CEO of a client firm who "went off" on some of Rich's team members, expressing his dissatisfaction with their work. Rich explained that he listened carefully and after the client was done with his tirade, Rich made a choice...not just to defend his company, his team members, or himself, but to assert his leadership as a peer. According to Rich, he said to the client, "Take your anger out on me, not my people." Rich asserted himself, exercising the choice he had of how to respond to the situation. In other words, Rich didn't just fly off the handle (emotional brain) but rather consciously responded based on the emotion he felt (rational brain). "Every moment you have a choice of how you’re going to be." This quote from Rich captured it all for me. In "every moment" I have the power to use my emotional intelligence, whether I'm interacting with others or working alone. I "have a choice" over what happens next...what I will do in response to those interactions. What I do in response is actually a precursor of how I'm "going to be." That last point is the most important because it demonstrates the virtuous cycle that can result from constructively using self-management: what I do on a daily basis leads to who I am in that moment and who I become in the future. After all, we are not human doings, we are human beings.